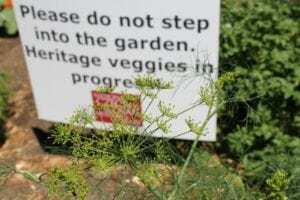 This spring, the National Czech & Slovak Museum & Library planted an organic Czech and Slovak Heritage Garden for the first time. 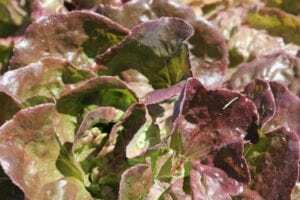 The vegetables come from heritage seeds collected by Seed Savers Exchange in Decorah, Iowa, or are representative of the vegetables that would have been found in a 19th century Czech or Slovak backyard garden in Cedar Rapids. Over the summer, the garden has been flourishing! 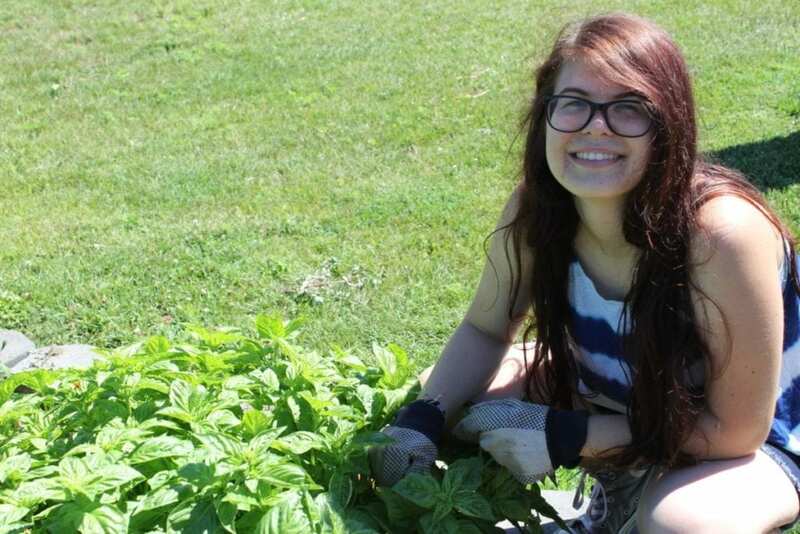 Heritage Garden Intern Marissa with our basil. “The garden is coming along nicely, if I do say so myself. The circular plot is now lined with beautiful, bright marigolds to attract bees and other pollinators and I laid down some mulch to help keep the soil moisturized. The onions, potatoes, and basil are all doing very well. The carrots, dill, and kohlrabi are showing some progress; the lettuce hasn’t been as successful this time around. I think we may have planted it a little too late in the season for the seeds to germinate properly. The cabbage has really begun to grow, however. At one point, last year’s cover crop of buckwheat began taking over the garden so I promptly removed it, and ended up breaking a trowel in the process. 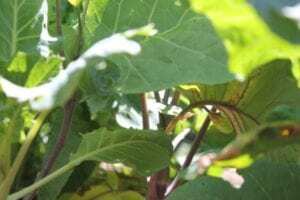 The problem of the resilient buckwheat has been solved, however. I recently planted some more basil, dill, radishes, peppers, and tomatoes. Since most of the lettuce didn’t grow, I wanted to fill in the extra space with as many heritage veggies as possible. I also planted in some tomato transplants that we were growing indoors. The tomato plants are doing very well outside – almost every seed we had germinated! I also recently learned that the mammoth dill we planted can get up to six feet tall, which is pretty amazing. This variety was donated to Seed Savers Exchange by Margaret Church of Binghamton, New York. Her husband’s coworker’s mother immigrated to the United States from Czechoslovakia around 1920 and brought the seeds over with her. Margaret almost lost this variety due to a critter eating a hole in the paper bag the seeds were being stored in, but fortunately she had a small amount of backup seeds in her garden shed.